UFO: Black Object flying Caught on Camera during Typhoon Ruby in the Philippines December 6, 2014 became viral and trending online. 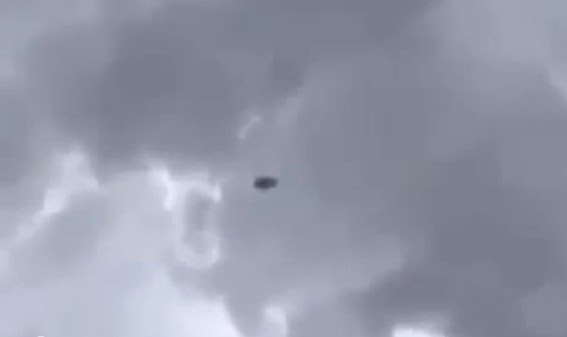 The video shows UFO above the sky and suddenly disappears after a minute. The video of black object UFO garnered thousands of views and shares online and now became popular. Several people from Visayas were not glad after seeing the video because they're already suffering from typhoon Ruby or Hagupit. It was not clear whether the video is real or fake. Isang hindi kapanipaniwalang bidyo ang kumakalat ngayon sa internet sa kasagsagan ng bagyong #Rubyph.